My sister is writing a book about a world-renowned women’s rights activist Diana Nammi and we’re asking for your help in making this happen. The book Girl With A Gun: A Teenage Freedom Fighter in Iran is being published by Unbound, the world’s first crowdfunding publisher, and you can pledge for a pre-order copy of the book at this page. 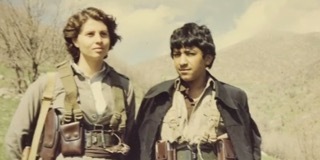 Diana Nammi became a frontline fighter with the famed Peshmerga – Kurdish freedom fighters – when she was only 17. 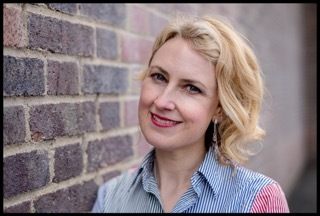 Born in Iran and now living in the UK where she runs a women’s rights organisation, Diana’s life story is full of incredible twists and turns. 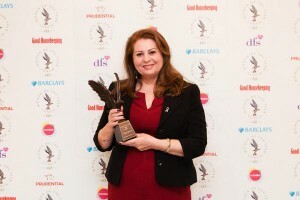 Karen was sent to interview Diana Nammi for the British newspaper the Independent on Sunday in October 2014 after Diana won a Woman of the Year award for her work campaigning to get ‘honour’ based violence recognized in the British legal system. “Originally named Galavezh (Morning Star), Diana grew up in the Kurdish region of Iran in the 1960s and 70s. This was a time of cooperation and looking out for neighbours. It was also a world of forced marriages, with a woman’s value determined by her husband or male relatives. But Galavezh was cherished by her father, who was a kind and brave man. At the age of four, she witnessed him stepping forward to save a woman’s life on her wedding day. From this act, Galavezh learned that one person can change the world around them. After Kurdistan was attacked, she became a soldier in the famed peshmerga fighting force. She spent 12 years on the front line, and helped lead the fight for women’s rights and equality for the Kurdish people. She became one of the Iranian regime’s most wanted. The book is also, at its heart, a love story. Peshmerga literally translates as ‘one who sacrifices oneself for others’. The forces, including more than a thousand women on active duty, are currently fighting ISIS in northern Iraq. This is the unique and powerful account of a woman who fought with these troops, travelling across Iran and Iraq, standing up for women and girls and slowly but surely changing the world.